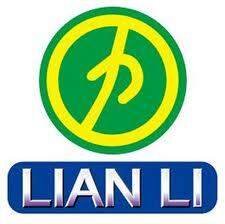 Over the years Lian Li has developed unique features and a high quality that is unmatched by other manufactures on the market, this has set them apart from many other companies. Some of the unique features currently include USB 3.0, the choice to use aluminum over plastic which breaks or falls apart after light use, and engineering some of the most unique chassis to hit an actual production line. 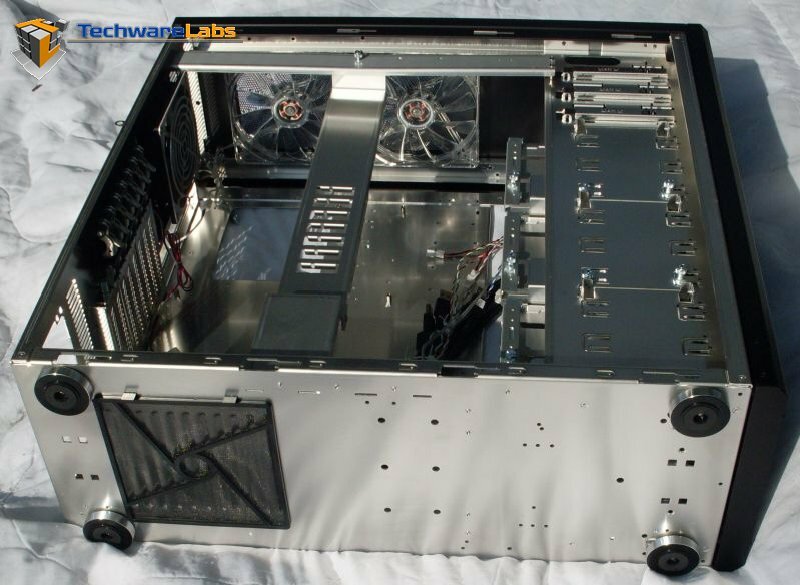 Today TechwareLabs is reviewing the PC-A77F case, which is the largest of their fleet and by far has space to spare inside. 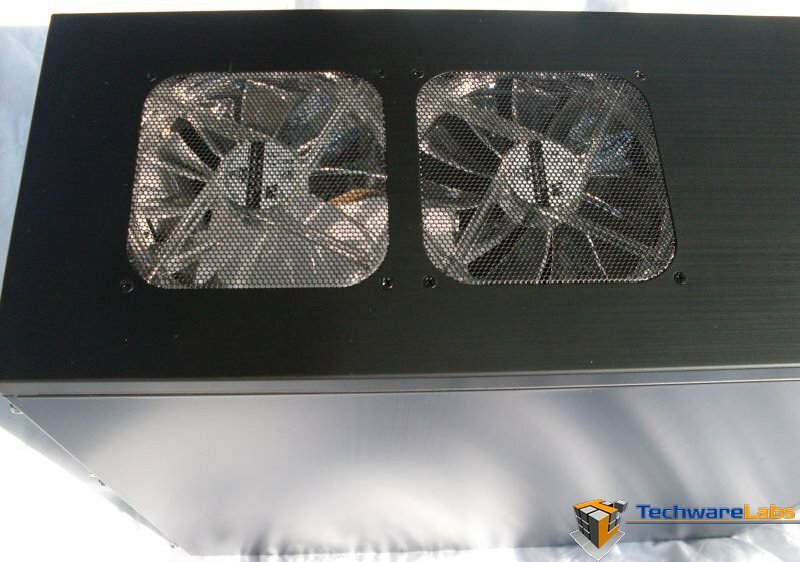 Join us in taking a closer look at the PC-A77F case. 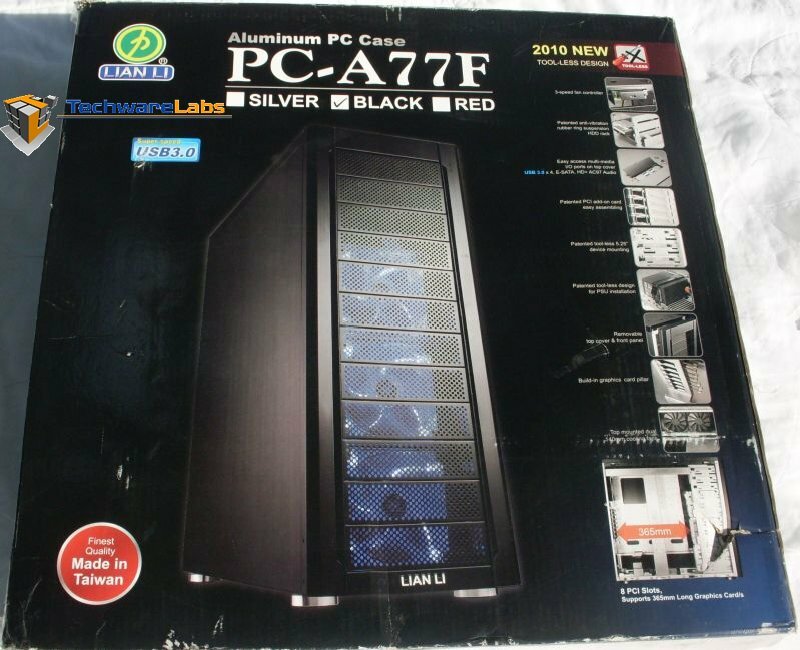 LIAN LI PC-A77F Available anodized in black, silver or red. A quick look at the specs and an overview of the case shows that Lian Li has once again designed a case stacked with features. Several of our staff had the reaction “Wow, now that is cool, why hasn’t someone thought of that sooner?” Well let’s take a look at a few photos of the case to get an idea of what we are talking about. The PC-A77F is large giving you a lot of options to route cables and cut down on clutter, but the number of slots and access areas for cable routing is what sets the PC-A77F apart from other cases of this size. 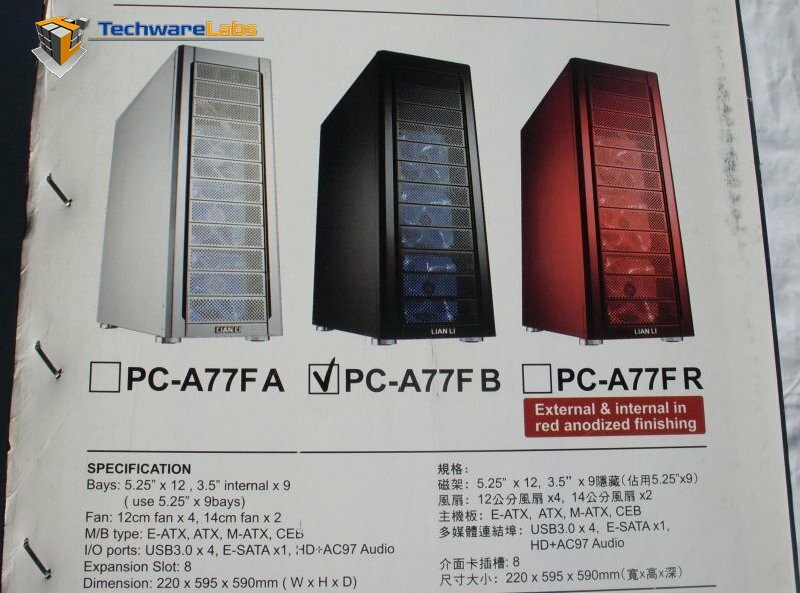 Just a few pictures of the outside of the PC-A77F doesn’t reveal many differences from other cases on the market today. 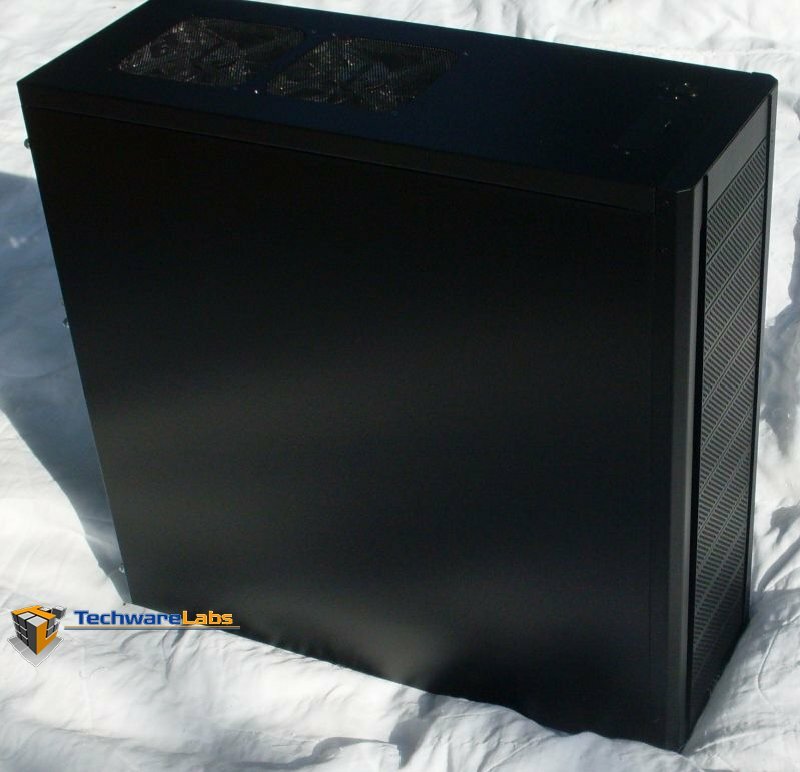 All Lian Li cases are anodized and not painted which is the most durable finish next to powder coating. The front bezel is made of aluminum and not plastic like the remaining 90%+ of the computer cases on the market today. The bottom of the case has a vent for the power supply with a dust shield to assist in the prevention of particles being sucked into your power supply (more on this later in the review). The PC-A77F is not shy on fans and air flow either. The PC-A77F is decked out with 6 X 120mm Fans to pull/push air through the case and with their super quiet blade design you are not disturbed by the hum of a motor, but rather you hear the sound of air moving through the case.